Mix together the honey, coconut oil, ginger powder, and lemon juice in a small bowl. Peel the pears and make sure they can stand by themselves on a baking tray. If not, then cut off a slice on the bottom of the pear to make it flat so that it can stand. 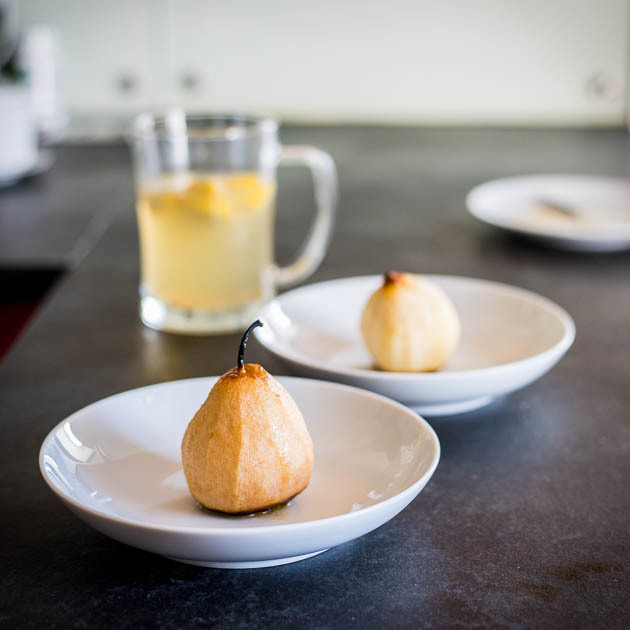 Use your hands (or a spoon or a brush) to cover the pears with the mixture. You should only need to use a very small amount of mixture to cover the pears (around 1/4 of the mixture). Place an aluminum foil on a baking tray and place the pears on the tray and bake for 1 hour. After 15 minutes, use a spoon to pour a bit more of the mixture on each pear. After 30 minutes in the oven, pour a bit more mixture on each pear. Continue baking for the last 30 minutes until the pear is pretty soft (you should be able to cut it with a spoon). Save the rest of the mixture to serve with. 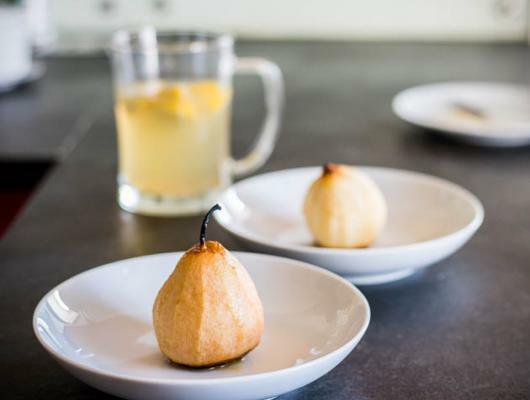 DESCRIPTION: Baked pears are actually really easy to make but they are a fancy Paleo dessert that will wow people.